1. JOSEPH ANDREW1 KESSEL was born Abt. 1808 in Au Am Rhein, Ratstatt, Baden, Germany (Source: Our Jefferson County Ancestors vol 5 pg 129.Info compiled by Charles Klein; 1010 Trowbridge; Houston, TX 77062 in march 1983Charles Klein descended from Josephine Werner), and died Bef. 1870. He married CHARLOTTE WESSBECHER Aug 25, 1828 in Au Am Rhein, Ratstatt, Baden, Germany. She was born Abt. 1809 in Au Am Rhein, Ratstatt, Baden, Germany (Source: Germans to America Vol 7, 120, Age at emigration 46.). Joseph Kessel emmigrated 1854 from Au Am Rhein. Occupation Bauer (peasant farmer). The village of Au am Rhein can be found in the northern region of the county of Rastatt. It obtained its name from its location in the Rhein Valley, at the most northern part of the Rheinau Woods. This ancient village is only 10 miles or 15 kilometers from the coast of France. A tidy community of only 2,800 residence, its size is 13.28 square kilometers. Earliest reference to Au was in the year 811 A.D. when it was the home of the estate of priest, Milo. Later, the monasteries of Hirsau and Cloister Reichenbach owned property in Am. The Romans left behind their traces in Am. A roman leuga was stored in the tower of the old parish church. A leuga was a Gallic measure of distance 2.2 km = 1.4 miles. The leuga supported the theory that a Roman road existed from Baden-Baden (called Aquae by the Romans) to Au, which crossed the Rhein river, at Au. The Channel house in Au had four Roman gods depicted in gold in its cornerstone. Until the end of the 19th century gold was still being mined in the Rhein Valley area near Au. Today these ancient artifacts of Au can be seen in the Baden State Museum in Karlsruhe. Abert, Angele, Ball, Bauer, Baumstark, Brendel, Brunner, Busch, Fahrner, Ganz, Gimbler, Göpf, Großmann, Heitz, Herrmann, Hertweck, Hettel, Hirth, Hoch, Hönig, Huditz, Jäger, Karecher, Kast, Kessel, Klumpp, Krieg, Lumpp, März, Mayer, Melcher, Merkel, Merz, Müller, Peter, Pflüger, Schröder, Schweigert, Stahlberger, Steinel, Steinle, Weißenburger, Weß, Weßbecher, Werz. 1870 Census Charlotte was living alone. Joseph must have died between 1860-1870.
i. MARGARETHA2 KESSEL, b. Abt. 1830.
ii. JOSEPHINE SOPHIA KESSEL, b. May 15, 1831, Au Am Rhein, Ratstatt, Baden, Germany; d. Dec 28, 1908, Brighton, Washington Co, Iowa; m. JACOB FREDERICK WERNER, Abt. 1850. 2. iii. ANDREW KESSEL, b. Nov 27, 1834, Baden,Prussia; d. Jul 28, 1909, near Brighton,Jefferson County, Iowa. iv. THEODOSIA KESSEL, b. Abt. Mar 21, 1837, Baden, Germany. 3. v. JOHN KESSEL, b. Aug 20, 1839, Au Am Rhein, Ratstatt, Baden, Germany. vi. ANNA KESSEL, b. Abt. Nov 1, 1840, Au Am Rhein, Baden, Germany; m. ROBERT WOLF, Jun 21, 1860, Henderson Co, Illinois (Source: Illinois Statewide Marriage Index.). christened.. 01 NOV 1840 Katholisch, Au Am Rhein, Baden, Baden to Joseph Kessel and Skolastika Wessbecher. 4. vii. GERTRUDE KESSEL, b. Abt. Jun 5, 1843, Au Am Rhein, Ratstatt, Baden, Germany. 5. viii. MATHIAS KESSEL, b. Feb 23, 1845, Germany; d. Apr 30, 1923, Brighton, Washington Co, Iowa. ix. ANTON KESSEL, b. Dec 16, 1849; d. Mar 20, 1853. 2. ANDREW2 KESSEL (JOSEPH ANDREW1) was born Nov 27, 1834 in Baden,Prussia (Source: 1870 Census-Jefferson County, IA. ), and died Jul 28, 1909 in near Brighton,Jefferson County, Iowa. He married MARY FRITZ Abt. 1857 in Burlington, Iowa (Source: 1900 Jefferson Co, IA census, est. from census listing both being married 42 yrs. ), daughter of JACOB FRITZ and BARBARA HOFFMAN. She was born Feb 8, 1834 in Baden, Germany (Source: 1870 Census-Jefferson County, IA. ), and died Aug 19, 1910 in Brighton, Washington Co, Iowa. Notes Mikrofilm aufgenommen von Manuskripten im Erzbischöflichen Archiv Freiburg. Parish register of Au, baptisms, marriages, deaths, confirmations, converts, annual masses for the dead, family book, index. B. 25 OCT 1834 Katholisch, Au Am Rhein, Baden, Baden to Joseph Kessel and Skolastika Wessbecher. Kissell, Mary, wife, b. Feb. 1834, age 65, m. 42 yrs, 7 children, 6 living, b. Germany, parents, b. Germany,emigrated in 1854. Mrs. Mary Fritz, wife of the late Andrew Kessel, died at Brighton the 19th inst. She was born in Germany February 8th, 1834, and was married in Burlington more than half a century ago. The family resided in Walnut township, this county, for many years. Mrs. Kessel was an excellent woman and many friends will mourn her death. 6. i. EMMA3 KESSEL, b. Jun 2, 1860, Germanville, Jefferson County, Iowa; d. Mar 3, 1930, E. Pleasant Plain, Iowa. 7. ii. JACOB KESSEL, b. Dec 22, 1862, Germanville, Jefferson County, Iowa; d. Sep 8, 1942, E. Pleasant Plain, Iowa. 8. iii. JOSEPH H. KESSEL, b. May 10, 1865, Germanville, Jefferson County, Iowa; d. Jul 7, 1947, Fairfield,Jefferson Co,Iowa. iv. CHRISTINA KESSEL, b. Bet. 1867 - 1868.
v. BARBARA KESSEL, b. Dec 24, 1868, Walnut Twp, Jefferson Co, Iowa; d. Dec 9, 1916, Burlington ,Des Moines Co, Iowa; m. WILLIAM TROXEL, Oct 23, 1900, Jefferson County, Iowa (Source: Marriages of Jefferson County Iowa. ); b. Abt. 1867. Series: T623 Microfilm: 429 Book: 1 Page: 161 This gal is enumerated as single, 30, a seamstress and nativity indicated as Ia. straight across the board. Rooms with a Geo. & Careline Hill family. vi. BERTHA KESSEL, b. May 1873, Walnut Twp, Jefferson Co, Iowa (Source: 1900 IA soundex. ); d. Dec 18, 1942; m. WILLIAM TROXEL, Sep 14, 1929, Burlington, Iowa; b. Apr 6, 1871, Burlington, Des Moines, Iowa; d. Sep 18, 1929, Burlington, Des Moines, Iowa. America J., 41, female, white, Keeping house, b. Ind. William Troxel, 58, died at his home, 510 South Central avenue, yesterday at 12:15 p.m. following a month's illness. He was a member of the former Troxel Brother's Furniture company here and was a native and lifelong resident of the city. Death was due to cerebral hemorrage. Mr. Troxel was born here April 6. 1871, the son of John and Catherine Troxel. When a young man he started in the furniture business. With his brother, Albert, he conducted a store in the 300 block of Jefferson Street, which was sold four years ago to the White Furniture company. Mr. Troxel was married only last Saturday to Bertha M. Kessel of Burlington. He was a member of the congregational church, the Elks club and the Hawkeye Natives society. Surviving are his widow, one brother, Albert Troxel and two sisters, Mrs. Mary Elizabeth Rankin and Mrs. Emma L. Greene all of Burlington. The body was taken to Prugh's chapel pending funeral arrangements. 9. vii. ANDREW KESSEL, b. Dec 12, 1874, Brighton, Washington Co, Iowa; d. Jun 11, 1917, Fairfield, Jefferson Co, Iowa. 3. JOHN2 KESSEL (JOSEPH ANDREW1) was born Aug 20, 1839 in Au Am Rhein, Ratstatt, Baden, Germany. He married (1) ROXANNA FRAZELL Jul 10, 1862 in Henderson Co, Illinois. She was born Bet. 1838 - 1839 in Licking Co, Ohio (Source: Biography. ), and died Aug 28, 1878 in Oquawka, Henderson, Illinois (Source: Biography.). He married (2) LOUISA B GASS Nov 25, 1880 in Henderson Co, Illinois. She was born in Beaver Co, Pennsylvania. Also wife Roxanna and three children. BIOGRAPHICAL MATTER, STATISTICS, ETC.GATHERED FROM MATTER FURNISHED BY THE MERCER AND HENDERSON COUNTY HISTORICAL SOCIETIES, INTERVIEWS WITH OLD SETTLERS, COUNTY, TOWNSHIP AND OTHER RECORDS, AND EXTRACTS FROM FILES OF PAPERS, PAMPHLETS, AND SUCH OTHER SOURCES AS HAVE BEEN AVAILABLE. John Kessel, son of Joseph and Charlott (Wessbecher) Kessel, was born in Baden, Germany, August 25, 1839. The parents of Mr. Kessel, in 1854, emigrated to the United States, first locating in Burlington, Iowa, where John learned the trade of barber. In 1861 he came to this place and opened a barber shop, soon after adding to the business the sale of tobacco and cigars, and in 1868 added also the manufacture of cigars. July 10, 1862, he was united in marriage to Miss Rotana Frazell, who died August 28, 1878. His next marriage was on November 25, 1880, to Miss Louisa B. Grass, a native of Beaver county, Pennsylvania. Mr. Kessel's first wife was a native of Licking county, Ohio. By her he had three children, living, whose names are William G., Lottie, and Addie H. Mr. Kessel is a member of the masonic and odd-fellows' fraternities. i. WILLIAM G3 KESSEL, b. Bet. 1862 - 1863.
ii. CHARLOTTE KESSEL, b. Bet. 1863 - 1864; m. WILLIAM HERBERTZ, Jan 20, 1885, Henderson Co, Illinois. iii. JENNIE KESSEL, b. Abt. Apr 1870. 4. GERTRUDE2 KESSEL (JOSEPH ANDREW1) was born Abt. Jun 5, 1843 in Au Am Rhein, Ratstatt, Baden, Germany. She married JOSEPH HURKA. 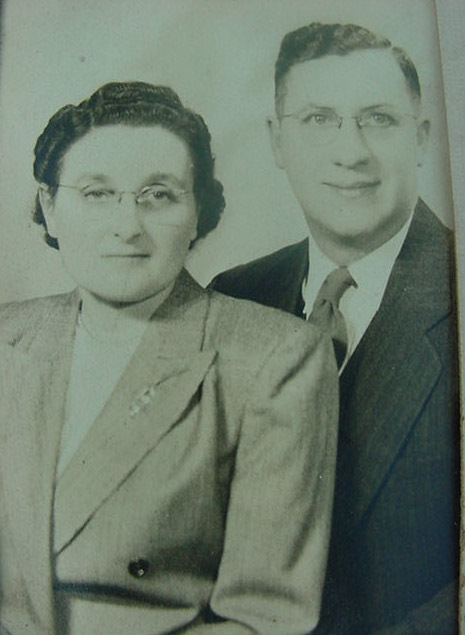 Parents Joseph Kessel and Skolastika Wessbecher. i. JOSEPHINE3 HURKA, b. Bet. 1861 - 1862.
ii. ANNA HURKA, b. Bet. 1862 - 1863.
iii. CAROLINE HURKA, b. Bet. 1864 - 1865.
iv. CHARLOTTE HURKA, b. Bet. 1869 - 1870. 5. MATHIAS2 KESSEL (JOSEPH ANDREW1) was born Feb 23, 1845 in Germany, and died Apr 30, 1923 in Brighton, Washington Co, Iowa. He married MARY ROTZINGER Feb 18, 1869 in Walnut Twp, Jefferson Co, Iowa, daughter of CONSTANTINE ROTZINGER and VALENTINA HETTICK. She was born Mar 19, 1850 in Germany (Source: 1900 IA soundex. ), and died Dec 6, 1926 in Brighton, Iowa. 1900 IA soundex emigrated in 1854. 10. i. MATTHIAS3 KESSEL, b. Mar 1870, Iowa; d. Brighton, Iowa. ii. LOUISA KESSEL, b. Abt. 1871, Iowa (Source: 1880 IA Soundex.). iii. IDA KESSEL, b. Abt. 1874, Iowa (Source: 1880 IA Soundex.). iv. BERTHA KESSEL, b. Abt. 1876, Iowa (Source: 1880 IA Soundex.). 11. v. JOHN KESSEL, b. Mar 1878, Iowa. vi. JOSEPH KESSEL, b. Nov 1880, Iowa (Source: 1900 IA soundex. ); m. MARTHA; b. Abt. 1888, Iowa (Source: 1920 IA soundex.). 12. vii. ANNA SADIE KESSEL, b. Feb 1883, Iowa. 13. viii. CHARLEY KESSEL, b. Apr 1885, Iowa. 14. ix. EDGAR KESSEL, b. Jul 1887, Iowa. 15. x. GEORGE KESSEL, b. Feb 1, 1890, Iowa; d. Jul 9, 1938, Brighton,Washington Co, Iowa. xi. RAYMOND KESSEL, b. Mar 1892, Iowa (Source: 1900 IA soundex.). 6. EMMA3 KESSEL (ANDREW2, JOSEPH ANDREW1) was born Jun 2, 1860 in Germanville, Jefferson County, Iowa (Source: W.P.A. Records-Jefferson Co, IA. ), and died Mar 3, 1930 in E. Pleasant Plain, Iowa. She married (1) PHILIP TRUMAN Dec 20, 1882 (Source: Newspaper.). She married (2) WILLIAM BERG Apr 8, 1888 in Walnut Twp, Jefferson Co, Iowa, son of DIEDERICH BERG and FREDERICA GILLMAN. He was born Oct 1857 in Germany, and died 1937 in E. Pleasant Plain, Iowa. Marriage took place at Emmas home. Miss Emma Kessel, from near Germanville, was married to Mr. Phillip Truman, from near Burlington, last Wednesday. Our best wishes go with the happy couple. 1900 Jefferson Co, Census, Round Prairie Twp. i. MARY B4 BERG, b. Feb 6, 1889, E. Pleasant Plain, Iowa; d. May 16, 1889, E. Pleasant Plain, Iowa. ii. MARTHA MARGARET BERG, b. Apr 11, 1890, E. Pleasant Plain, Iowa; d. Mar 24, 1919, E. Pleasant Plain, Iowa; m. JOHN MICHAEL PACHA, Oct 24, 1916.
iii. NORA BERG, b. Mar 1892, Iowa (Source: 1900 Jefferson Co, IA census. ); m. L.S. SHAW. iv. HERMAN A BERG, b. Jan 1897, Iowa (Source: 1900 Jefferson Co, IA census.). 7. JACOB3 KESSEL (ANDREW2, JOSEPH ANDREW1) was born Dec 22, 1862 in Germanville, Jefferson County, Iowa, and died Sep 8, 1942 in E. Pleasant Plain, Iowa. He married MARY CHRISTINA KURTZ Oct 10, 1894 in Jefferson County, Iowa (Source: Marriages of Jefferson County Iowa. ), daughter of JOHN KURTZ and CAROLINE MEYER. She was born Mar 1866 in Iowa (Source: 1900 IA soundex. ), and died 1942.
i. MALE4 KESSEL, b. May 5, 1895, Pleasant Plain Township, Jefferson Co, Iowa (Source: Jefferson County, Iowa Births.). ii. RAYMOND JOSEPH KESSEL, b. Jan 7, 1897, Pleasant Plain Township, Jefferson Co, Iowa; d. Nov 1969, Fairfield, Jefferson Co, Iowa (Source: SS Death Index, Residence 52556 (Fairfield, Jefferson, Iowa)Issued in Iowa before 1951484-14-8411. ); m. ELIZABETH AGNES LEDGER, Jan 30, 1918, E. Pleasant Plain, Iowa; b. 1897 (Source: Jefferson County Iowa Cemeteries, Vol 2 Penn Twp Cemeteries thru Dec 1987. ); d. 1960 (Source: Jefferson County Iowa Cemeteries, Vol 2 Penn Twp Cemeteries thru Dec 1987.). iii. ANTHONY LEO KESSEL, b. Aug 19, 1898, Walnut Twp, Jefferson Co, Iowa; d. Apr 18, 1967; m. ELSIE J; b. 1909; d. 1936 (Source: Jefferson County Iowa Cemeteries, Vol 2 Penn Twp Cemeteries thru Dec 1987.). iv. LEONARD KESSEL, b. Jun 15, 1900, Pleasant Plain, Penn Twp, Jefferson Co, Iowa; d. Mar 24, 1972, Richand, Keokuk Co, Iowa (Source: SS Death Index, Residence 52585 (Richland, Keokuk, Iowa)Issued in IA before 1951480-32-2197. ); m. ELSIE C LEDGER; b. Nov 24, 1899; d. Jan 16, 1990, Richand, Keokuk Co, Iowa (Source: SS Death Index, Residence 52585 (Richland, Keokuk, IA)Issued in Iowa 1975478-??-0510.). 8. JOSEPH H.3 KESSEL (ANDREW2, JOSEPH ANDREW1) (Source: Joynt.ftw, Date of Import: Apr 26, 1999.) was born May 10, 1865 in Germanville, Jefferson County, Iowa (Source: Jefferson Co. Ia Cemetaries Vol. II), and died Jul 7, 1947 in Fairfield,Jefferson Co,Iowa (Source: Jefferson Co. Ia Cemetaries Vol. II). He married ANNA DOROTHY MESSER (Source: Joynt.ftw, Date of Import: Apr 26, 1999.) Apr 26, 1894 in Germanville, Iowa (Source: Jefferson Co. Ia Marriages 1870-1919), daughter of JACOB MESSER and AUGUSTA BERG. She was born Jul 25, 1875 in Jefferson County,Iowa (Source: Jefferson Co. Ia Cemetaries Vol. II), and died Jul 28, 1964 in Fairfield,Jefferson Co,Iowa (Source: Jefferson Co. Ia Cemetaries Vol. II). Buried at St. Joseph Cemetary Stone #56. Anna is also buried at stone #56. Joseph H. Kessel, 82, well known Jefferson county retired farmer passed away this morning about 10 a.m. at the Jefferson county hospital. He had been seriously ill for the past month. Funeral services will be held Wednesday morning at 9 a.m. from the St. Mary's Catholic church with Rev. Father H. M. Thoman in charge. Burial will be in St. Joseph's cemetery at East Pleasant Plain. The Rosary will be recited at the Weston Behner funeral home at 8 p.m. Tuesday evening. Mr. Kessel was the son of the late Andrew and Mary Kessel. He was born May 10, 1865 near Brighton, and was united in marriage to Anna D. Messer on April 26, 1894. He had spent his entire lifetime in Jefferson County. He is survived by his wife and the following four sons: Clarence and Ralph, both of Fairfield: Victor, Kansas City; and Robert of Las Vegas, Nevada. Six grandchildren also survive. Mr. Kessel was preceded in death by two brothers and three sisters. Mrs. Anna Dorothy Kessel, 89, died today at 6 a.m. at the Jefferson County hospital where she had been seriously ill for the past ten days. She had been in failing health for the past year. Services will be held at St. Mary Catholic Church in Fairfield, Thursday at 9 a.m. with the Rev. Fr. H.B. Geers in charge. The rosary will be recited at 7:30 p.m. Wednesday at the Weston Behner Funeral Home. Mrs. Kessel was a life long resident of Jefferson County. She was born July 25, 1875, the daughter of Jacob and Augusta Berg Messer. She was married to Joseph H. Kessel on April 26, 1894 at Germanville. He died July 7, 1947. She is survived by two sons, Clarence J. Kessel of Fairfield and Victor L. Kessel of Kansas City, Mo., six grandchildren and 20 great grandchildren. She was preceded in death by a half sister, father, mother, and two sons. She was a member of St. Mary's Catholic Church. i. CLARENCE4 KESSEL, b. Apr 22, 1895 (Source: Jefferson Co. Birth Records); d. Aug 19, 1974, Fairfield, Jefferson Co, Iowa (Source: SS Death Index, Residence 52556 (Fairfield, Jefferson, Iowa)Issued Iowa before 1951483-14-0018. ); m. MARIE DRISH; b. Mar 19, 1902 (Source: SS Death Index. ); d. Jan 1980 (Source: SS Death Index.). ii. VICTOR KESSEL, b. Mar 9, 1897, Germanville, Jefferson County, Iowa (Source: Jefferson County Birth Records). iii. RALPH JOSEPH KESSEL (Source: Joynt.ftw, Date of Import: Apr 26, 1999. ), b. Jun 1, 1903, Fairfield,Jefferson Co.,Iowa (Source: Obit. ); d. Jun 30, 1949, Fairfield,Jefferson Co.,Iowa (Source: Obit. ); m. RETHA GOLDIE SMITH, Apr 27, 1927, Fairfield,Jefferson Co.,Iowa; b. Sep 23, 1907, Lockridge,Jefferson Co.,Iowa; d. Aug 2, 1988, Ottumwa,Iowa. Last rites for Ralph J. Kessel, 46, well known Fairfield businessman who passed away suddenly yesterday, will be Saturday at 9 a.m. at St. Mary's Catholic Church. Rev. Father O.F. DeCoursey will officiate, and burial will be in Evergreen cemetery. The Rosary will be recited at the Weston Behner funeral home at 8 p.m. this evening. Mr. Kessel became ill last Sunday evening and was taken to the Jefferson county hospital early Tuesday morning where he passed away. His death was caused by uremic poisoning. Although his condition was considered critical, his death yesterday at 1:30 p.m. was sudden and unexpected. His condition was reported as slightly improved yesterday morning. He had owned and operated the Kessel Battery and Electric Shop in Fairfield for over 22 years. He had also worked in that line of business for three years prior to going into business for himself. His present business is located on North Fourth street in the New Chicago area, but before moving there, it was located one block north of the square on Court street where the Young monument firm is now located. Ralph J. Kessel was born June 1, 1903, in Fairfield, the son of Joseph H. and Anna Messer Kessel. He spent his entire life in this community and was educated in the local schools. On April 26, 1927, he was united in marriage to Retha G. Smith at Fairfield. He was a member of the St. Mary's Catholic church and had served as treasurer of Center township schools for the past five years. The family home is located about a mile north of Fairfield on highway No. 1. Besides his wife, Mr. Kessel is survived by three daughters, Mrs. Raymond L. Stagg, Kansas City, Missouri; Helen D. Kessel, Des Moines; and Vivian Kessel, at home. He is also survived by his mother, Mrs. Anna Kessel, Fairfield; and three brothers, Clarence of Fairfield, Victor of Kansas City, and Robert of Birmingham. His father preceded him in death. Retha G. Nelson, 80, of R.R. 4, Fairfield, died at the Ottumwa Regional Health Center. She was born in Lockridge, Iowa the daughter of Charlie and Nellie Crane Smith. She married Ralph Kessel, April 26, 1927 and he died June 30, 1949. On August 18, 1951 she married George Nelson and he died March 16, 1967. Retha is survived by 3 daughters, Ruth Carter, Scottsdale, Az., Helen Leeper, Fairfield, Ia., Vivian Outland, Carlisle, Ia, 6 grandchildren, 11 great grandchildren, and one brother, Cecil Smith of Baraboo, Wisconsin. She was preceded in death by a brother, Orril Smith. Retha lived in Lockridge until 1926 when she moved to Center Township in Jefferson County. She was a member of St. Mary's Catholic Church, the Altar and Rosary Society, and had worked for 25 years at Jefferson County Hospital. Casket Bearers: Bob Berg, Dean Holst, Richard Jewell, George Kessel, Dave Reiff, Lowell Smith, Gary Sparks. Final Resting Place Evergreen Cemetery. iv. ROBERT A KESSEL, b. 1908; d. Bef. 1964; m. LUCILLE E BALDWIN; b. 1908. 9. ANDREW3 KESSEL (ANDREW2, JOSEPH ANDREW1) was born Dec 12, 1874 in Brighton, Washington Co, Iowa, and died Jun 11, 1917 in Fairfield, Jefferson Co, Iowa (Source: Death records of Jefferson County, Iowa, Andrew Kessel, a married male age 42 years 6 months and 9 days was born December 12, 1874 in Iowa and died June 11, 1917 at Fairfield, Iowa. His father was Andrew Kessel of whom was born in Germany. His mother was Mary Fritz who was also born in Germany. Burial was in St. Joseph's Cemetery of Fairfield, Iowa. Informant of this info: Joe Kessel of Fairfield, Iowa.). He married MARGARET ADRIAN Jan 18, 1901 in Keota, Keokuk Co, Iowa. She was born Jan 11, 1883, and died Nov 18, 1957.
i. ADELINE M4 KESSEL, b. Jul 1, 1903; d. 1962; m. EUGENE C WARREN. ii. CLEMENT A KESSEL, b. Oct 21, 1906; d. Sep 20, 1986, Salem, Marion, Oregon (Source: SS Death Index, Residence 97302 (Salem, Marion, OR)Issued in Iowa before 1951483-10-7266.). iii. LAWRENCE P KESSEL, b. 1912 (Source: Jefferson County Iowa Cemeteries, Vol 2 Penn Twp Cemeteries thru Dec 1987. ); d. 1984 (Source: Jefferson County Iowa Cemeteries, Vol 2 Penn Twp Cemeteries thru Dec 1987. ); m. ETHEL MARIE WITTMER; b. 1915 (Source: Jefferson County Iowa Cemeteries, Vol 2 Penn Twp Cemeteries thru Dec 1987. ); d. 1976 (Source: Jefferson County Iowa Cemeteries, Vol 2 Penn Twp Cemeteries thru Dec 1987.). iv. MARGARET BARBARA KESSEL, b. Aug 27, 1915. Married a medical dr. and moved to Salem, Oregon. v. JOHN WILLIAM KESSEL, b. Aug 27, 1915; d. Nov 14, 1988, Iowa City, Iowa (Source: SS Death Index, Residence 52245 (Iowa City, Johnson, IA)Issued in IA before 1951483-10-0971.). 10. MATTHIAS3 KESSEL (MATHIAS2, JOSEPH ANDREW1) was born Mar 1870 in Iowa (Source: 1900 IA soundex. ), and died in Brighton, Iowa. He married ELIZABETH WENDLING Abt. 1893. She was born Nov 1872 in Iowa (Source: 1900 IA soundex. ), and died Oct 28, 1930 in Brighton, Iowa. Living in Jefferson Co, Walnut Twp. An Eliz. Windling M.? b. Aug 1836 also living with them. could be mother-in-law? i. OSCAR4 KESSEL, b. Mar 5, 1897 (Source: 1900 IA soundex. ); d. Oct 1966 (Source: SS Death Index.). 11. JOHN3 KESSEL (MATHIAS2, JOSEPH ANDREW1) was born Mar 1878 in Iowa (Source: 1900 IA soundex.). He married ANNA DRISH Apr 29, 1903.
i. RALPH E4 KESSEL, b. Bet. 1905 - 1906, Iowa. ii. JOHNIE R KESSEL, b. Bet. 1906 - 1907. 12. ANNA SADIE3 KESSEL (MATHIAS2, JOSEPH ANDREW1) was born Feb 1883 in Iowa (Source: 1900 IA soundex.). She married RAPER DUTWWILER Mar 27, 1901 in Jefferson County, Iowa. He was born Abt. 1877.
i. MAE LEONA4 DUTWWILER, b. May 16, 1905, Brighton, Iowa; d. Jun 11, 1998, Burlington, Iowa; m. UNKNOWN LOUCK. 1998, at Burlington Medical Center. She was a member of New London United Methodist Church in New London and Joy Circle. Beatrice Haberman of Wayland and Donna Guy of Brighton. She was preceded in death by her parents, one infant son and one sister. Friends may call from noon to 8 p.m. today at Elliott Chapel, New London. There will be no family visitation. Cemetery, Wayland, with the Rev. Ray Howland officiating. A memorial has been established to New London United Methodist Church. 13. CHARLEY3 KESSEL (MATHIAS2, JOSEPH ANDREW1) was born Apr 1885 in Iowa (Source: 1900 IA soundex.). He married HATTIE. She was born Abt. 1889 in Iowa. i. MYRNA4 KESSEL, b. Abt. 1910, Iowa (Source: 1920 IA soundex.). ii. DOROTHY KESSEL, b. Abt. 1918 (Source: 1920 IA soundex.). 14. EDGAR3 KESSEL (MATHIAS2, JOSEPH ANDREW1) was born Jul 1887 in Iowa (Source: 1900 IA soundex.). He married GRACE O.
i. MERLE L4 KESSEL, b. Abt. 1911, Iowa (Source: 1920 IA soundex.). ii. CURTIS E KESSEL, b. Abt. 1919, Iowa (Source: 1920 IA soundex.). 15. GEORGE3 KESSEL (MATHIAS2, JOSEPH ANDREW1) was born Feb 1, 1890 in Iowa (Source: 1900 IA soundex. ), and died Jul 9, 1938 in Brighton,Washington Co, Iowa. He married NORA WHITE. She was born Abt. 1893 in Iowa (Source: 1920 IA soundex.). i. WILMA4 KESSEL, b. Abt. 1915 (Source: 1920 IA soundex. ).